Why on Earth would anyone need a padlock that uses Bluetooth? That’s the first reaction to the ‘world’s first smart padlock’, but this is more a keyless product than a phone-operated one. The world of padlocks does’t need ‘digital disruption’, you might think, but is anything with a physical key – that could easily get lost – going to have a long-term future? We think not. Cue Noke, which is programmed via an app, and can be opened via a tap on a phone. Noke is designed to be opened using a pre-programmed sequences of short and long pinches, doing away with a key. It works on any iOS, Android or Windows device running Bluetooth 4.0. 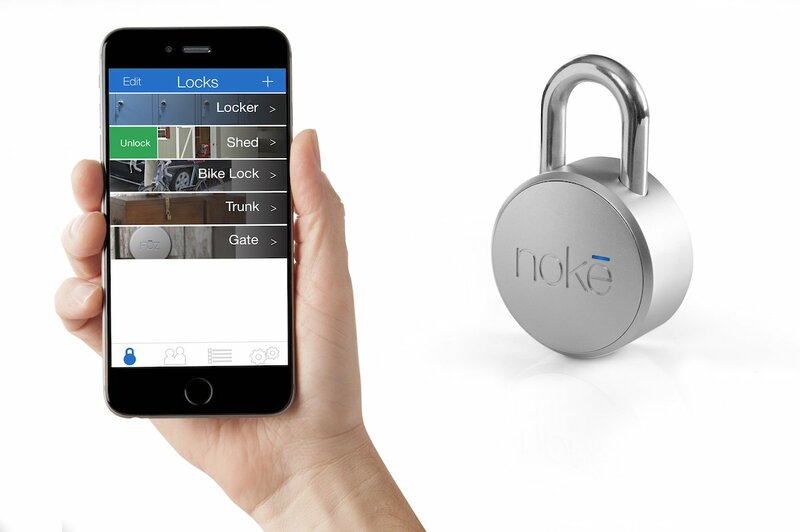 Although Noke is mostly a keyless padlock and is only programmed by Bluetooth (though you can also open the lock using your phone), there’s a connected dimension, too. Unlike your average key-operated padlock, Noke can be shared with others, its history of being opened checked in that app. Its CR2032 battery lasts a year and uses 128-bit encryption. However, is Noke necessary for using in hostels and other low-rent places where a padlock really is a good idea? Perhaps, but the EasyLock is probably more useful if you’re only going to carry one locking device. Noke is better for commercial lock-ups, warehouses and anywhere else where a breakdown and a history of visits would be useful.